This is a quick spread I came up with many years ago, complete with original reading from way back in 2008! I created a quick 2-card Friday the 13th spread. I don't believe this day brings bad luck with it. In fact, my son was born on the 13th, so it's always been a very lucky day for me. So this isn't your run of the mill spooky spread. 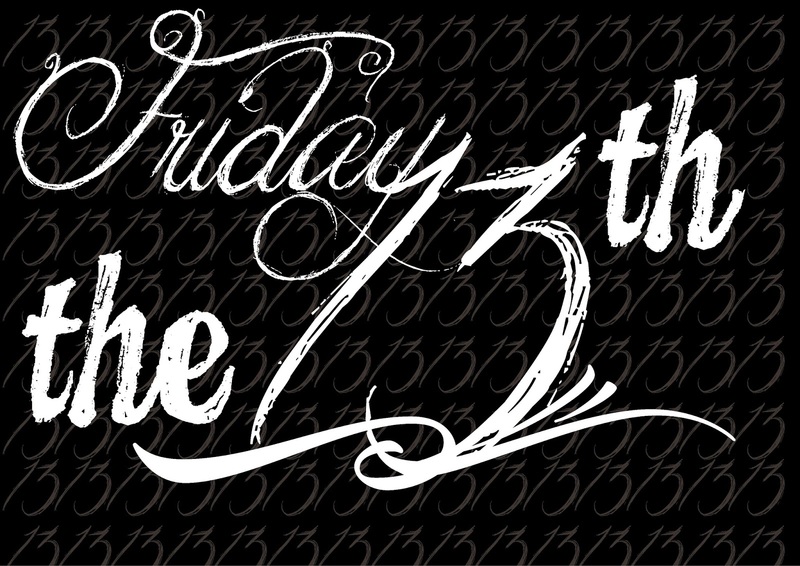 Leave it to me to create a Pollyanna Friday the 13th spread! 1. What negative superstition (in this case, a belief which attracts bad luck) should I let go of? 2. What good luck is headed my way? 1. What negative superstition should I let go of? This witch speaks to me of unlimited possibilities. No goal is too far to reach, nothing is outside my scope of potential. The book says that when this card appears, magic is cast upon your dilemma, and your wishes will come true. It even says that eternal, light-giving forces bring you deserved luck! A luck card falling in the good luck position... I'd say that's lucky indeed! I get a very liberating sense from this card. 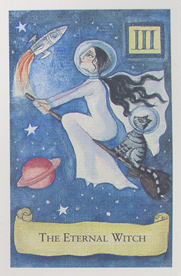 The Eternal Witch is flying into space, and is free to go wherever in the world she wishes. I'd love the freedom to fly wherever I wanted to go! It'd be nice if this luck headed my way will give me some expanded liberty. I wish you a Happy Friday the 13th, and hope you enjoy using the spread yourself! © This is my original spread creation. If you use it on your blog/twitter/webstite/insta/etc., please credit AND tag me. Thank you! 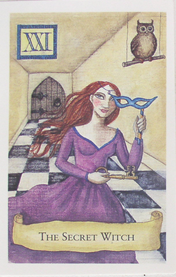 This spread was originally published on my previous blog (Tarot Dame) on 6/13/08.